"The US debt ceiling was raised to $16.394 trillion this week, a number which will be breached before the end of the year, and possibly before the presidential election in November. As a reminder, in 2011, the US economy grew by 1.7%. It almost, but not quite, offset the growth of US debt held by the public, which grew at a brisk 11.3% pace in the past year." Financial Repression is a term that will begin to hit the mainstream financial news and discussion boards soon. I want to take some time to discuss it here in light of this week's key announcement from the Federal Reserve, which I discussed on Wednesday in FOMC Meeting: Gold Explosion. To define financial repression in simple terms, it means that the Federal Reserve will focus on keeping the nominal rate of growth higher than the cost to service debt. Now let's take a step back and dig into what that actually means using an example. Imagine an average 35 year old American man named Joe with a wife and 2 kids. Joe has $400,000 in total debt, $300,000 in debt remaining on his mortgage, $50,000 in credit card debt, and $50,000 in debt he borrowed to purchase his cars. The total average interest rate on the $400,000 is currently 6%. 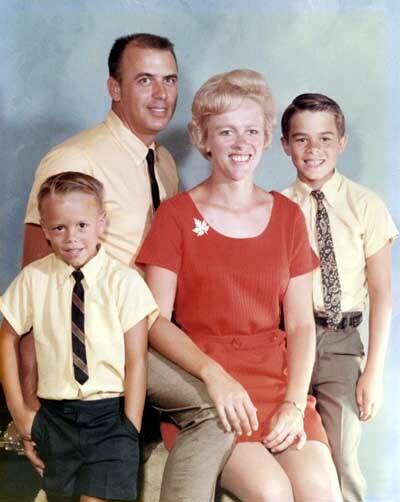 Joe makes $100,000 per year allowing him to comfortably make his payments every month and support his family. Now, imagine that inflation begins to rise (similar to what we saw in the 1970's). The cost to purchase food, gasoline, pay his medical insurance and take his family to the movies goes up by 8% in 2012. Joe is a strong performer at work and his company wants to keep his talent in house so they provide him with an 8% raise to compensate for the rising cost of living. Joe now makes $108,000 per year and a portion of his living cost has risen, however, his debt burden is still locked in at only 6% on the $400,000 he owes, making it easier for him to pay his monthly interest payments. This is exactly how financial repression works. Sounds good right? Let's extrapolate it now into the real economy. The Federal Reserve wants the GDP of America to grow every year. GDP means Gross Domestic Product and it is the best measure of the size of a nation's economy. GDP can grow through natural causes like higher productivity, higher demand for goods, new technology (iPads) or medicine (cancer treatment) created and exported overseas. It can also grow through inflation. If the cost of an iPad goes up by 10% this year and we export an equal amount of iPads in 2012 vs. 2011 the total effect on GDP is still increased by 10% in nominal terms. The same goes for an increase in steel prices, movie tickets, or the cost to wash your car. All these goods and services produced, consumed, or exported add to the total nominal GDP (real GDP subtracts inflation from the total - nominal GDP includes inflation). Why does the Fed care about nominal GDP? Because just like average Joe, if the nominal rate of GDP grows at 4% per year, and the interest on servicing the Federal debt burden is only 3.5% then we are growing out of our debt burden through inflation, even if 80% or more of our GDP growth comes from currency debasement. Let's take this one step further using real numbers. 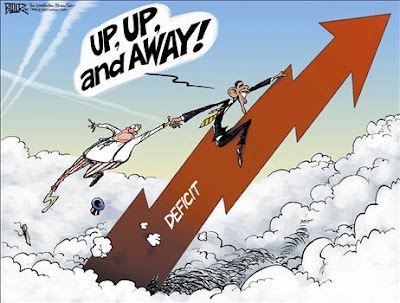 Our current federal deficit is now around $15 trillion. Our current GDP is also around $15 trillion. This means we just crossed over the 100% debt to GDP level. Going back hundreds of years in history has shown (which you can read in depth about in the incredibly well written book This Time Is Different) that a country begins to get in trouble when their debt to GDP crosses 90%. This means that the US is in the danger zone. 1. Grow our way out of it by stimulating the economy with a short term increase in federal spending stimulus programs and tax cuts. 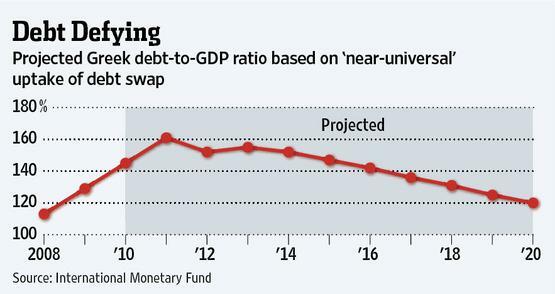 The hope is that the GDP will keep pace with or surpass the debt increases. Think of it as a race. For example, if the size of our economy (GDP) grew to $30 trillion (doubled) this year due to business growth that pushed our deficit up to $17 trillion, it would be considered (by our economic leaders) as a success. This is the current strategy being used by our government. 2. Grow our way out using inflation and financial repression. The Federal Reserve announced this week that they would be inflation targeting. They will keep the rate of inflation at a target rate in hopes that the nominal rate of GDP will push higher and ease the debt burden. 3. You can cut government spending and cut taxes trying to stimulate the economy through real growth (not inflationary and government stimulated). This policy will shrink the economy and GDP in the short term and will bring extreme pain to the portion of the economy that is now dependent on the government transfer payments. It requires a politician to tell the American people that there will be hard times before things get better. Based on who is currently in office and the contenders to challenge them running today, this policy is not even being mentioned. Our government has chosen to combine choices 1 and 2 to deal with our problem. So what impact will this have on our economy and your investments? This strategy will first and foremost punish savers and reward debtors. If Bernanke says he is targeting an inflation rate of 2%, (I believe he is actually targeting an inflation rate of 4%-5%) anyone holding cash in their savings account at close to 0% is losing purchasing power every year through inflation. It also punishes people on fixed incomes like social security or pensions as the cost of living is rising faster than their monthly check. Why is Bernanke doing this? 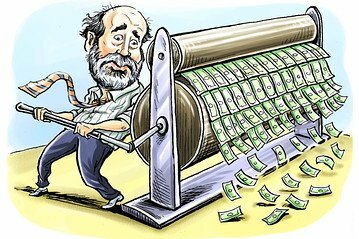 Bernanke has the ability to create money by printing dollars and purchasing assets that banks own, such as US treasury bonds or mortgage bonds. 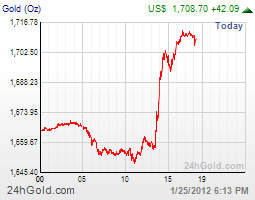 What Bernanke cannot control is what the banks do with that money after that point. This is known as the velocity of money. After the collapse of 2008 banks have taken this free money from the Fed and they have redeposited it right back at the Federal Reserve. I discussed this in depth using visual charts in US Money Supply: Running On A Treadmill. When the economy is strong banks will re-lend the money out into the economy to businesses, home buyers, or consumers. 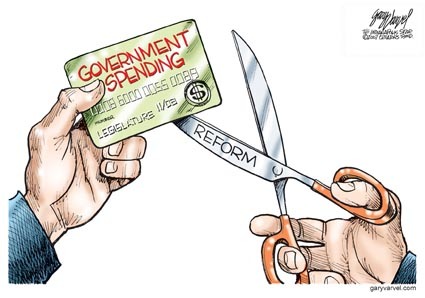 This pushes the money out into the hands of American people, which then creates velocity. Using inflation targeting Bernanke is trying to push these reserves out into the economy and into riskier assets such as stocks, corporate bonds, or consumer loans, all which have a return higher than the targeted rate of inflation. Bernanke is telling the banks they can take a guaranteed loss of at least 2% per year (they earn .25% holding money at the Fed) or they can roll the dice by lending it out (or buying stocks - which is actually lending/investing in corporations). It is a game of chicken and investors must pay extremely close attention to the game being played because it will have a major impact on all investment classes. I will continue to monitor the action week by week and alert readers to major investment opportunities. Until then, I think a portfolio should be structured the same way I discussed to open the year in 2012 Outlook: How To Invest. When we get a better gauge of who will win this game of chicken, the battle of deflation vs. inflation, I will update readers here. Rick Santelli, the lone sane voice on the CNBC payroll, took some time today to discuss the debt ceiling increase announced this week. Unlike last summer when our political clowns tried to bring the world to an end with their charade about "old sick people not receiving their social security checks," this week, the next debt ceiling increase passed through without a blip on the radar or a peep in the night. Whether it happens with loud commotion like last summer or it happens without a sound like this week, the outcome is still the same: our country is moving 120 mph over the edge of a cliff. Long time friend of this website, Peter Schiff, took some time this week to speak with RT News. Peter's most recent book "How An Economy Grows and Why It Crashes" is a must read for anyone just beginning their study of economics. Back on January 8th, I wrote an article titled Purchasing Precious Metals: NAV Considerations where I discussed that the premium to purchase silver in the Sprott Physical Trust (PSLV) had crossed over 32%. I threw up a cautionary flag to those in the fund and I recommended other alternatives, such as the Central Fund of Canada (CEF). The premium of the Sprott fund collapsed the following week, while the premium of the Central Fund of Canada rose, which I discussed in Precious Metals: NAV Update: PSLV. As of this morning, the premium of the PSLV was at 6.25% and I believe now is the time to re-enter. The first week of January, I sold out of the PSLV and moved it all into the SLV. This morning I did the opposite, selling SLV and moving it all back into the PSLV. To discuss why, let me use a poker analogy because I have recently been playing a lot of poker and it is on my mind. Poker, to me, is 90% a game of math. For every decision of every hand, I calculate the number of chips I have in my stack against the number of chips in the pot against the number of chips my opponents' hold. That is then weighed against my current hand and the cards shown to come up with pot odds and implied pot odds. 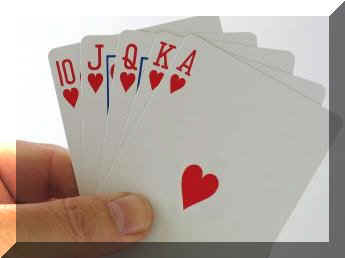 The amount of math that takes place in a single poker hand is pretty amazing, which is why I love to play. It keeps my brain working, similar to someone who enjoys playing chess, doing crossword or Sudoku puzzles. To make a long story short, let's say you have two hearts in your hand and you are hoping for three more hearts by the last card to make the flush. At that point, you expect to win the pot, a big pot, which impacts your betting. However, there is always an outside chance that someone may have a higher flush, at which point you are probably going to lose all your chips. This is the way I woke up this morning looking at the PSLV. The premium is currently at 6.25%. Could that fall further? Definitely. However, there is an outside chance that the SLV fund does not have 100% of the physical silver backing its price. This is an unknown, the equivalent of someone having a higher flush, in which the silver price could still rise (I hit my hand), but I end up losing big (higher unknown flush hits). I would rather not take that chance and just pay the premium. 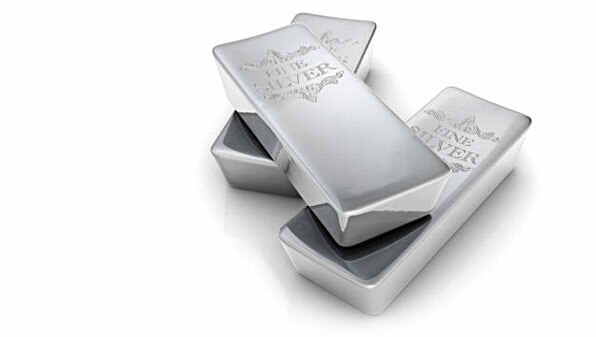 There is always the chance that the premium rises again as physical silver supplies tighten up. I will continue to monitor the NAV's week to week and keep readers aware of opportunities (and danger). For those that play poker, I hope you appreciate the analogy. For those that do not, you get a brief glimpse into the elaborate decision making process behind a simple investment or the simple decision to call or fold on every hand. - Bernanke said the Fed rates are likely to warrant exceptionally low levels for the federal funds rate at least through late 2014. - In addition, the Fed will begin a process of inflation targeting at 2% annual inflation per year. While the push back of 0% rates to late 2014 is important, the inflation targeting was the news that shook up the market. Bernanke is telling investors holding a 5 Year Government Bond that is going to make it his goal, his life's purpose, to make them lose 1.11% in total return. This is known as "financial repression," a topic I will soon be covering in great detail now that this inflation targeting has been announced. All it takes is a very, very, very small portion of the enormous US government bond market to do this math and invest "somewhere else," like gold, which rocket-launched back above $1,700 in trading this afternoon. Americans can feel a little more comforted by the fact that the people we pay in Congress to make terrible decisions and destroy our country must be hurting just as bad as we are, right? After all, if a company suffers the first people to be hurt and take cutbacks are the employees, right? 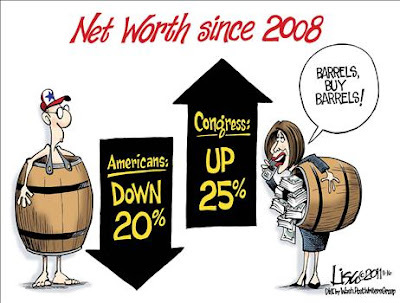 The following picture provides an easy summary on how Congress has fared during our current depression. At least they have not been making inside trades in their personal accounts based on current and future government proposals. Watching America's "royalty" all together last night made me sick to my stomach. Apparently I'm not alone as the congressional approval rating has now fallen to 9%. Just because I love movie previews, I'll give you a quick snapshot at the upcoming horror films (sovereign debt crisis) to be released in Japan and the UK. The following graph shows the combined public sector (government) and private sector (everyone else) debt for a group of major countries around the world against the size of their economy: their GDP. This is the most common tool used to determine if a country can pay their bills. As you can see, the UK and Japan have the most horrendous balance sheets in the world, by far. 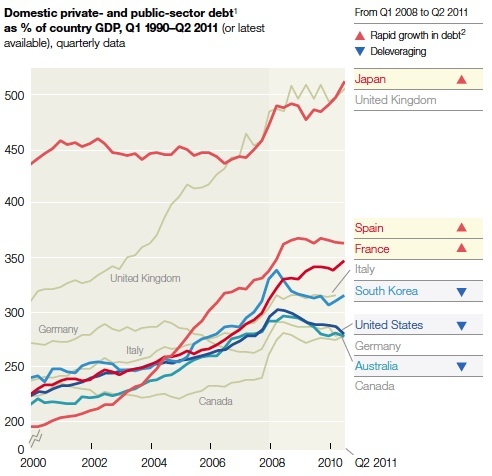 The majority of Japan's debt comes from the government while the UK's comes from the private sector. 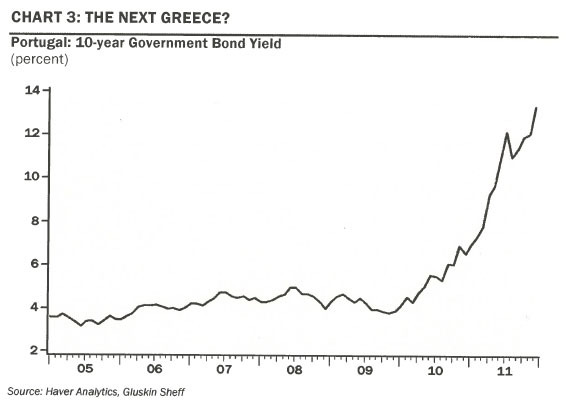 It is only a matter of time until the bond market will turn on one of the two. My bet is on Japan, but just as I thought Spain would explode before Italy back in late 2010, it could just as easily be the UK. The point is, get your money out of both and if you want to speculate, take a short position. I watched all of the State Of The Union last night. Well, I read it when the transcript was complete and I listened to Obama read it in the background while I worked on another project. The part of the speech I was interested in: details on the new housing program that is in the works as part of the "Re-Elect Obama 2012" campaign. "And while Government can’t fix the problem on its own, responsible homeowners shouldn’t have to sit and wait for the housing market to hit bottom to get some relief. Let’s never forget: Millions of Americans who work hard and play by the rules every day deserve a Government and a financial system that do the same. It’s time to apply the same rules from top to bottom: No bailouts, no handouts, and no copouts. An America built to last insists on responsibility from everybody." This is part one of the program I was expecting. I believe there are two more parts coming (a REO to rental program, which I discussed back on January 10 in Federal Housing Program: Renting Foreclosures, and a mortgage settlement agreement for the robo-signing scandal (which I will discuss when announced). While I praised the REO to rental program, I am almost certain, based on rumors I am hearing, that the mortgage fraud settle agreement will be a disaster, and it appears this homeowner write down program announced last night will be the same. There are currently 22 million homeowners underwater based on data from Corelogic. The total underwater debt today stands at $750 billion (prices continue to fall month after month). The plan, based on loose information released, is to take underwater mortgages held by Fannie Mae, Freddie Mac, hedge funds, large banks, and foreign banks and write them down to their current value. When a mortgage is written down, let's say from $400,000 to $300,000, someone has to pay that $100,000. The plan is to have the FHA take the loss as the banks and hedge funds would be paid in full. The FHA means tax payers. It is a back door bank bailout. Obama says the plan will cost tax payers $10 billion. With $750 billion in underwater mortgages, I am having trouble understanding the math. "It has determined that such reductions would be more costly for the two firms than allowing those troubled borrowers to default. Principal reduction never serves the long-term interest of the taxpayer when compared to foreclosure. Given that any money spent on this endeavor would ultimately come from taxpayers and given that our analysis does not indicate a preservation of assets for Fannie Mae and Freddie Mac substantial enough to offset costs, an expenditure of this nature at this time would, in my judgment, require congressional action." There is nothing quite like the insanity of an election year. The good news is that $750 billion paid out by tax payers (added to the deficit and purchased by the Federal Reserve's printing press) should be nothing but warm music to those holding precious metals. The dirty secret that again, no one is talking about, is that Portuguese rates (and chart pattern) are exactly where the Greek yields were 1 year ago to begin 2010. As a side note, Italy's rates are exactly where Greek yields were 2 years ago, and Portugal's were last year. Can you spot the trend? Portugal has stayed quiet, hiding in the shadows, as they wait to hear what kind of bailout package is in store for Greece. Once the details are finalized, their leaders will step up immediately to secure the same (or better) package. Portugal has a government debt to GDP ratio of 113%, far lower than Greece's horrific 170% and rising. However, when you factor in their private debt, the total picture of Portugal's balance sheet is actually worse than Greece at 360% of GDP. Italy is at 120% of government (not including private) debt to GDP and Japan is over 220% (see the 2012 Outlook: Japan's Debt Crisis for more on their coming debt explosion). As I have mentioned in the past, I believe the crisis will move from Greece to Portugal, to Ireland/Hungary, to Italy/Spain, to Japan/UK, and finish with the United States. I will continue to focus on each of these balance sheets waiting to erupt, but the immediate focus will soon be around the trouble in Portugal. Keep a close eye on Portugal's 10 year government bond. 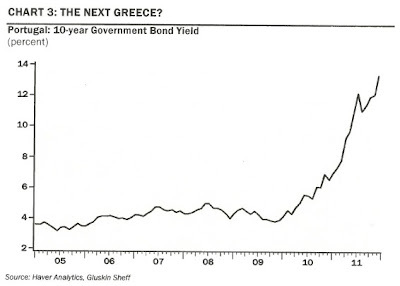 It appears to have already passed the point of no return and is headed directly for the grave yard to join Greece. While the ECB has taken a stand to do everything to protect the Italian yield at the 7% line, it appears to have let Portugal go, like Tom Hanks letting go of Wilson in cast away. A good video to watch before (or instead of) the State Of The Union address tomorrow evening. It is an interview with David Stockman, former budget director for Ronald Reagan, discussing money, politics, and Wall Street. David Stockman on Crony Capitalism from BillMoyers.com on Vimeo.